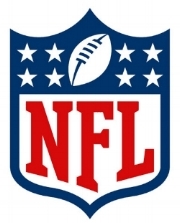 Marijuana is a banned substance by the National Football League. Somewhat ironically, recent scuttlebutt and an alleged lawsuit filed by former NFL players would lead us to believe that professional football teams are handing out opioids lavishly any time a player complains of an injury or grievous pain. Unfortunately, while America's most popular sports league is inundated in opioids, the NFL maintains strict rules against players' use of marijuana, including use as an alternative way to treat aches and pains. Many of us were recently privy to a showing of ex-NFL players at CannMed, a conference held at Harvard Medical in Boston. It was standing room only for the panel that included the larger-than-life athletes as well as medical marijuana professionals. All hands on deck were there to resounding enthusiasm of the cheering crowd to promote their outstanding views in favor of using marijuana for pain relief during their NFL tenure (some getting busted and others not) as well as now palliative use for their continued consequences of the bashings they took over the years in the league. Thankfully, alongside this tremendous exposure and efforts put forth from renowned personalities, new laws and regulations are helping to move this in the right direction as well. More efforts are being put into place to make sure marijuana is safe – testing labs, potency measuring instrumentation, and requirements to quantify toxins like pesticides, and potentially dangerous substances like molds and other microbial agents. Sports are revered by and a reflection of the culture that watches them, and the NFL's paradoxical positions on these two types of pain treatments mirrors both the skyrocketing opioid crisis in America and the ongoing effort to come to terms with the tragic consequences of a decades-long war on drugs. Now, thanks to all of these efforts, we are starting to win a war of our own. Older PostWhat Does Mars Have To Do With Marijuana?